Qualitas Construction recommended this client to The Billington Partnership. 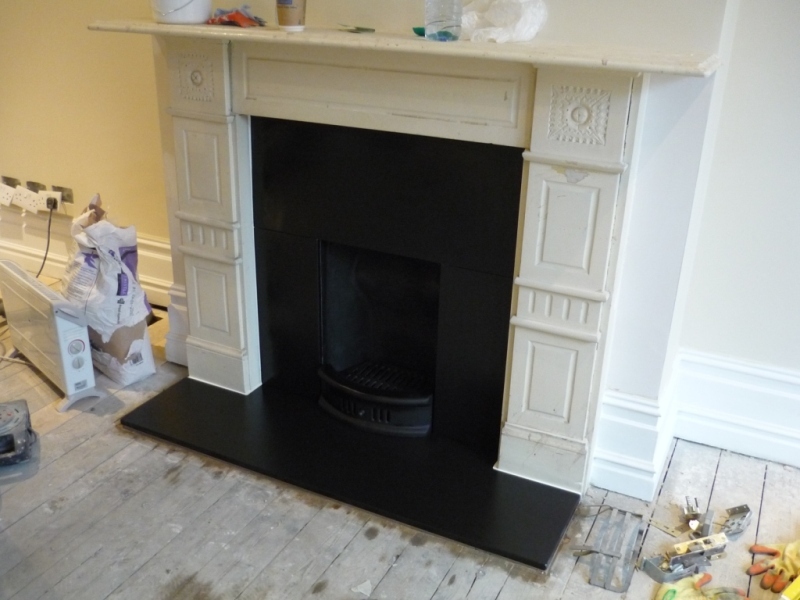 The company was carrying out a fantastic renovation on a house in Wimbledon and their client required a fireplace to be refurbished as part of that. The client’s fireplace in the front room of their house seemed very dated and old fashioned. It did not suit the new character of the house. 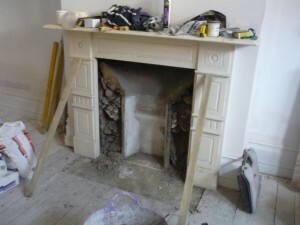 However, the client did want the existing mantel to remain. Therefore, we removed the internal back panel of the fireplace and replaced it with new honed black slate panel and matching hearth. 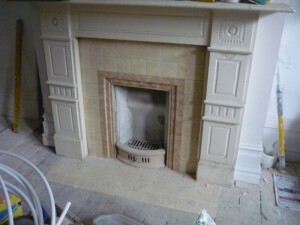 A fireplace refurbishment can sometimes be difficult but the client was delighted with the end result. Finally, this simple fireplace refurbishment shows that even small changes to a fireplace can be really effective. 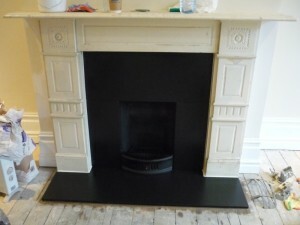 For more information abut refurbishing a fireplace, contact The Billington Partnership.